Parliament’s Health Select Committee is accepting submissions on the Government’s Medicinal Cannabis Amendment Bill. Submissions are being accepted now until March 21. Parliament unanimously voted for the Government’s bill, a real sign of the progress we have made. But the bill has been widely criticised for being weak, vague, and not providing enough protection for patients who urgently need affordable legal cannabis. Fortunately, the bill is not yet in its final form. The Select Committee process is where the bill can be improved, with input from the public. MPs from both Labour and National, who sit on this committee, have admitted that this bill needs work. We need to tell them how to fix it. Making official submissions is the single best tool we have available to influence the process at this stage. Speak from the heart about your experiences and those close to you. You don’t need to impress the committee with your scientific expertise on cannabis. Focus on what you are the biggest expert on: your own life. MPs need to hear stories from real people who will be affected by this legislation. We’ve seen in preliminary debates that many MPs are pretty clueless about how patients are using cannabis. Now is the time to educate them. Tell them how you or a family member have used cannabis for a legitimate medical condition, or how you would like to use it. What is the condition, what is the suffering like, and how does cannabis help? Help MPs understand how you actually use it (oils, vaporising the herb itself, etc). Tell them about the specific difficulties caused in your life by the fact that your medicine is illegal. We also need to help MPs understand what kind of cannabis patients need. Explain to them why you need actual raw cannabis, if you do need it. Explain why you need cannabis that has THC in it, not just CBD, if that is your situation. Help them understand that most patients want simple herbs and herbal preparations, not expensive cannabis-based pharmaceuticals. If you have support from your medical professional, include this information with your submission. We also need sympathetic doctors to make their own submissions, based on their clinical experience. The current bill sets up a regulatory framework for a New Zealand cannabis industry, but is incredibly vague about what kinds of medicinal cannabis products will be available in New Zealand. Tell the committee that you want the law to guarantee affordable cannabis and cannabis products made to a herbal or food safety standard – rather than expensive pharmaceuticals. Many patients can’t afford to buy products at all and need to be able to grow their own medicine. If you want the right to grow your own medicine, make this clear, and explain why it’s important. People with all sorts of health conditions, not just the terminally ill, are suffering and need legal protection immediately. Any medicinal cannabis user who has their doctor’s support, regardless of the specific medical condition, should be free from prosecution. This part of the bill gives no protection to those who provide for terminal patients. Where are sick and suffering people supposed to get their medicine? The bill provides a defence for terminal patients in court, but it’s not clear if the police could still harass these users and confiscate their medicine. Patients need protection from police action in advance, rather than having to defend themselves in court. Help MPs understand that you urgently need to be safe from police intervention in your life – and that the people compassionately supplying you with cannabis need that amnesty as well. You don’t have to write a novel. The length of your submission is up to you. Briefly making your points is fine and can be more effective than rambling. Include the phrase “I would like to speak to my submission”. There will be a Select Committee hearing where submitters can speak in person. You can only speak if you’ve made this request in your submission. You can also request that someone attend and speak with you. Speaking to the Committee is a powerful way to reach MPs directly, and media will likely be present as well. If you are unable to travel to Wellington, the committee may choose to allow you to speak to them by conference call. NORML will provide supportive advice on how to speak to the committee, for any submitters who are interested. To stay in touch for this advice, send a copy of your submission to medical@norml.org.nz. Reach out if you need help. 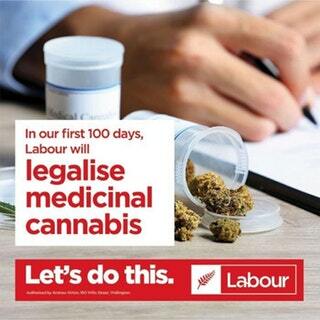 If you are having trouble writing your submission, whether for health reasons or if writing is difficult for you, contact medical@norml.org.nz for help. Volunteers may be available to type submissions on your behalf. The Select Committee are not the only ones who need education. We also recommend emailing a copy of your submission to the Health Spokesperson of New Zealand First, Jenny Marcroft. New Zealand First have been suspected of pushing the Government to compromise on this bill. They do not have a representative on the Health Select Committee, however, so we need patients and doctors to educate them outside of the Select Committee process. You may also wish to send a copy of your submission to your local MP. A note about privacy: Normally, when you make a submission, it will go onto the Parliament website with your name. We encourage medicinal cannabis users to go public if possible, but if that’s not possible for you, it should not stop your voice from being heard. If you wish to submit privately, you can discuss this with the clerk of the committee before submitting (Ciara Lee, Committee Secretariat, Health Committee: phone 04 817 6891, he@parliament.govt.nz).